This time next week will be Xur's last weekend of old stock, as Destiny 2's Warmind expansion is due to to release on the following Tuesday, May 8. 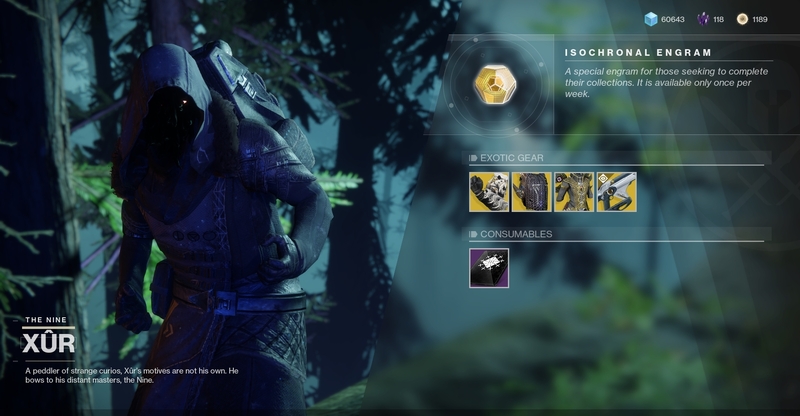 That's not to say that his inventory is useless until then, because some Exotics will be helpful in the wars that are to come once the expansion rolls out. 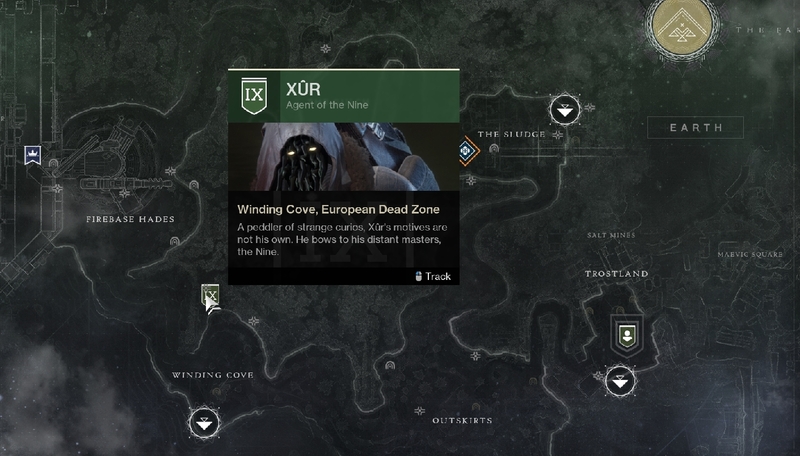 Xur is on Earth in the EDZ in his usual spot, perched up on top of a cliff next to a massive Fallen skiff. This weekend's weapon is Telesto, an Exotic fusion rifle from Destiny 1. The Telesto fires fusion projectiles that attach and detonate to its targets with a delayed Void blast. Multikills with Telesto immediately reload your equipped Kinetic and Energy weapons from their reserves. It costs 29 Legendary Shards. For Hunters, Xur has brought Young Ahamkara's Spine. Another Destiny 1 holdover, these gauntlets increase Tripmine grenade duration and marks enemies damaged by the blast. They are on sale for 23 Legendary Shards. This weekend's Titan armor is Mask of the Quiet One. It's a helmet that grants melee, grenade, and class ability energy when you take damage, and also grants health regeneration upon Void ability kills. It costs 23 Legendary Shards. Finally, for Warlocks, it's Wings of Sacred Dawn. This is a chest piece that allows you to suspend in midair while aiming when Dawnblade is equipped. Precision hits while floating will extend its duration. It's on sale for 23 Legendary Shards.